Please visit our Flickr Album to download more high resolution photos. Remember to give credit to the photographer and mention the photographer's name in your articles. 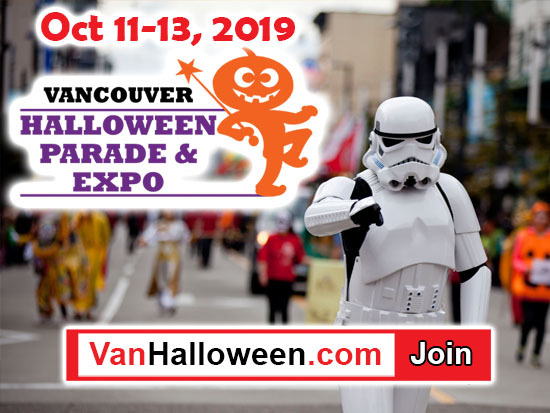 The 6th annual Vancouver Halloween Parade and Expo is the fantasy festival of cosplay, comics, anime, video games and mythologies on Oct 11-13, 2019 to kick off family-friendly Halloween season. 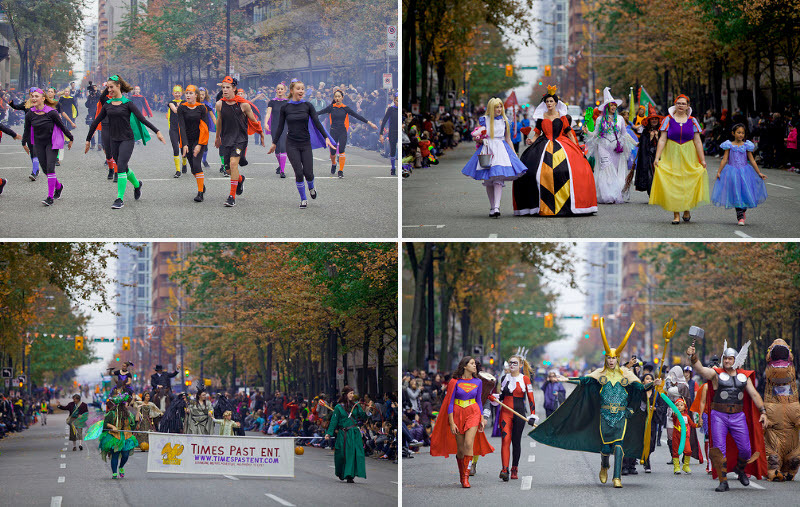 With the grand Halloween parade starts at 11 am on Sunday, your favorite superheroes and supernaturals are summoned in downtown Vancouver for 100,000 spectators! For details, please Google Vancouver Halloween Parade. The Province: The Halloween Parade and Expo kicked off it’s final day on Sunday with a family-friendly costume parade in downtown Vancouver. If you work for a media group, please submit an application and bring your business card when coming (maximum 3 passes per media group). The parade is free for spectators. Don't miss the complete three day festival. See Event Schedule and Location. By participating in this event, you agree that your image or video may be used for event promotional purpose.